OUR FALL SPOOKTACULAR STARTS NOW – ENROLL TODAY FOR FALL MUSIC LESSONS! October is the perfect month to begin fall music lessons! Don’t miss your chance to join our phenomenal Academy with amazing teachers and performance opportunities. Call 713-858-9617 (West U), 832-404-2299 (Bellaire), 713-489-3646 (Memorial) and ENROLL TODAY! 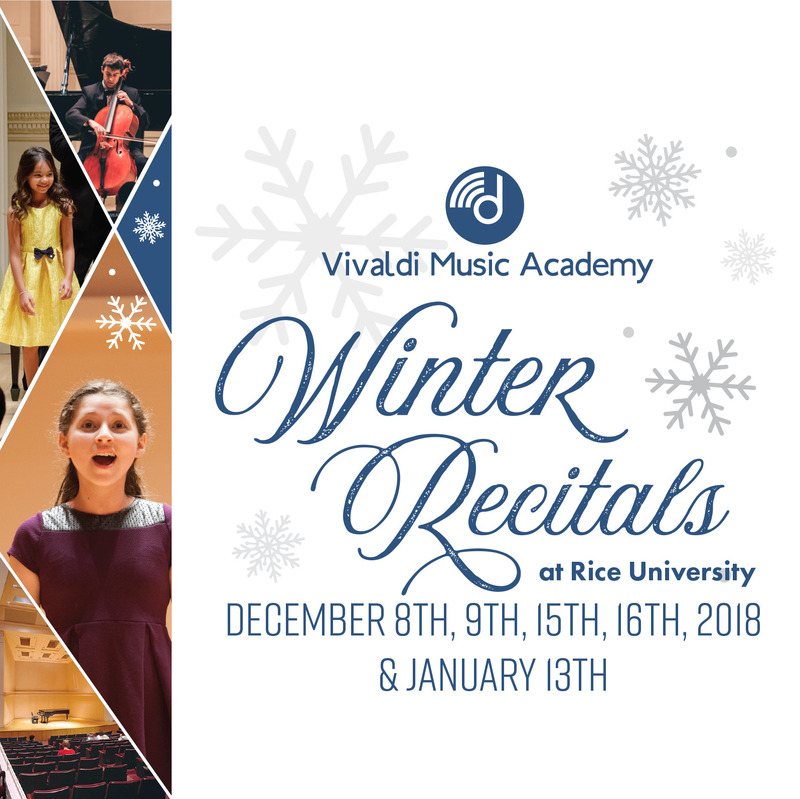 We’re gearing up for our upcoming Winter Recitals! Participation in recitals boosts confidence, provides goals, and builds new skills for students. Plus it’s fun for the whole family to celebrate achievements together! Please speak to your teachers to ensure you are ready to participate and we can’t wait to see you perform! A link to Sign Up Genius will be emailed to students on Monday, October 15th at 9am for recital sign-up. Please keep in mind that spots are limited and we encourage you not to delay in signing up. You may sign up for your teacher’s date/time or if you choose, you are more than welcome to sign up for a different date/time not assigned to your teacher. Show us your spookiest, funniest, outlandish, and cutest costumes from October 1st to November 1st. 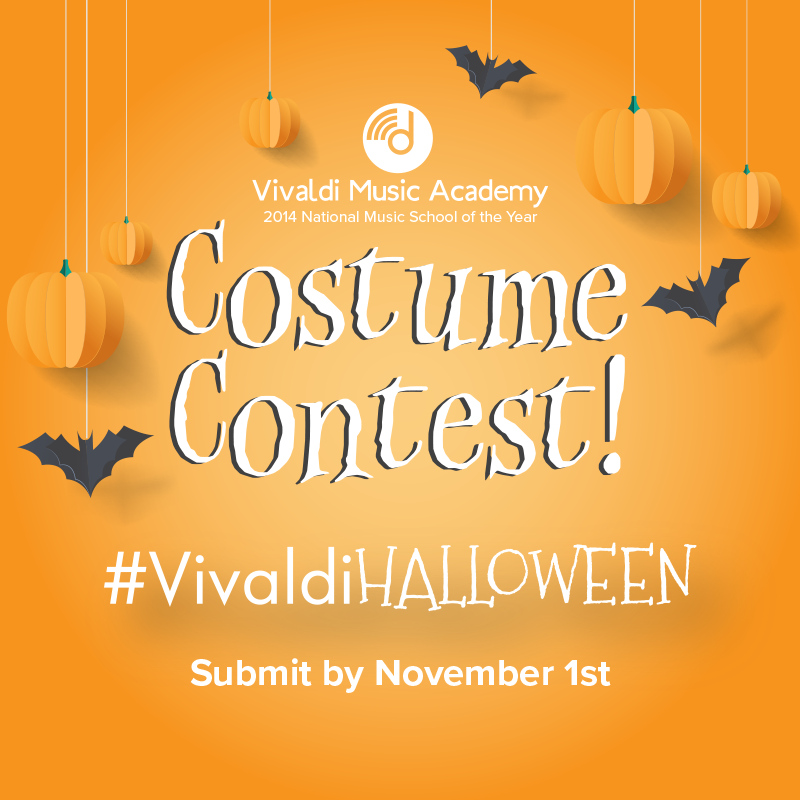 Share your photos with the hashtag #VivaldiHalloween on your social media, tag @vivaldimusicacademy or email us your pictures to info@vivaldimusicacademy.com. Not only will we share your costume ideas on our student wall, participants will also be entered into a drawing for a $100 gift card! 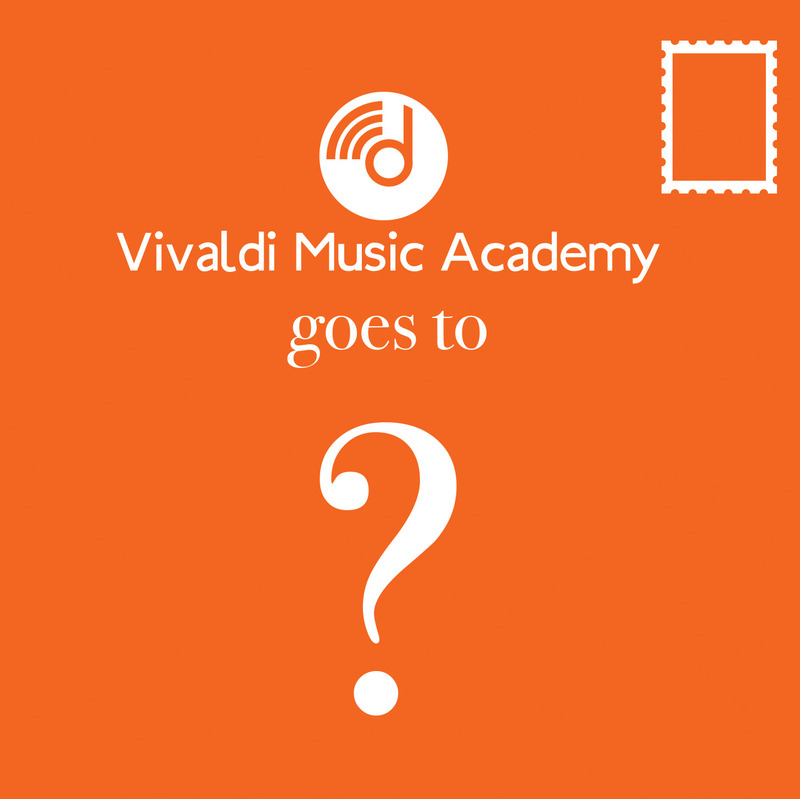 Where will Vivaldi Music Academy go for our Summer 2019 performance?? 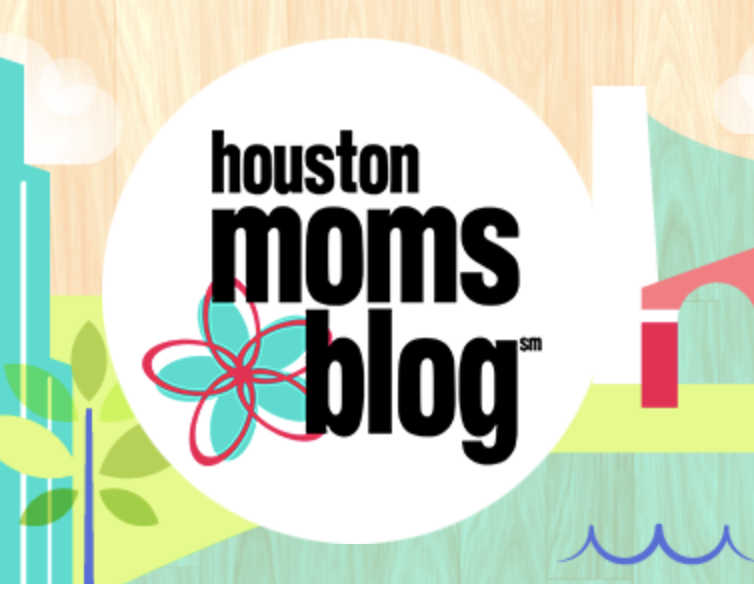 Stay tuned for our big announcement in November!! 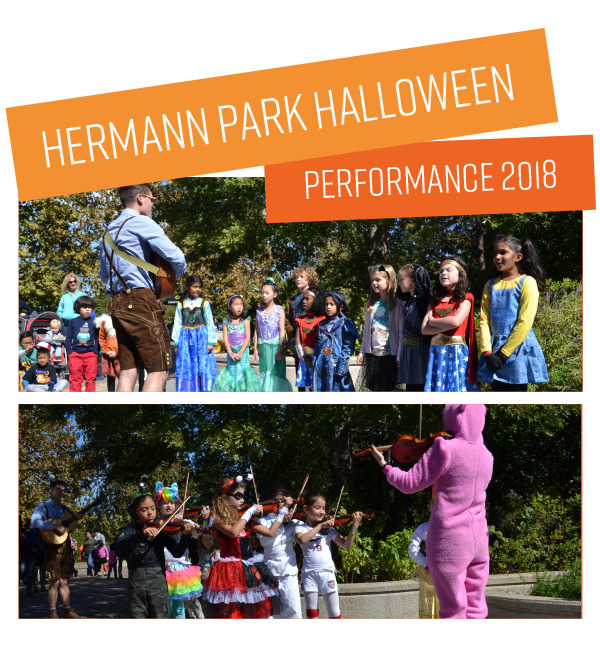 We can’t wait to see the Halloween performance of our Strings Ensemble, Children’s Choir and Vivaldi Rocks at Hermann Park on Saturday October 27th . Please come out to the Lake Plaza in Hermann Park at noon to view the performance and support our students! Check out Linh’s abeautifulrawr blog about her daughter’s experience with piano lessons at Vivaldi Music Academy and the benefits of learning music! 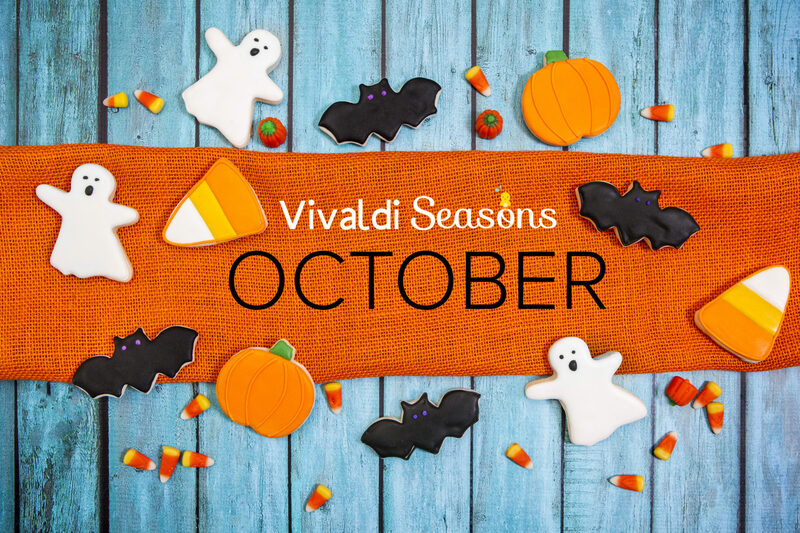 VIVALDI SEASONS – Haunted Houses and Spooky Music by famous composers! Our early childhood music classes will embrace the October theme of “Fall ideas” with songs about leaves, squirrels, nuts, and of course, pumpkins! We add slightly “spooky” song and rhyme concepts with cats, haunted houses, ghosts and jack o’ lanterns. Nothing over the top scary, simply a surprising “BOO!” now and again which is always a recipe for giggles. Our all-time favorite part of October is the music we listen to!